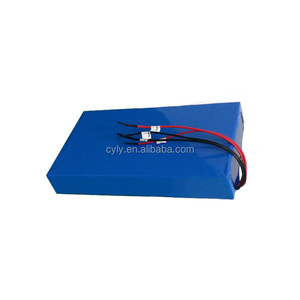 Product Details 1.60 volt li-ion battery pack 60 v electric bike lithium 30ah battery 2.Nominal Capacity of battery:30mah 3.Normal capcity of battery:60V 4.Warranty:12 Months 5.Battery type : lI-ion battery Product Introduction Parts included: 1.60v 30ah Lithium Battery with pvc case,30A BMS Built in. 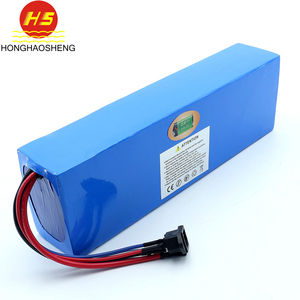 Item Specifications 1 battery Model 60V 30Ah 2 Nominal Capacity (AH) 30Ah 3 Nominal Voltage (V) 60V 4 Lifecycle more than 1200 cycles 5 Rated Capacity 30Ah 6 Rated Voltage 60V 7 Suggested Motor Power &lt;2500W 8 Type 3.7V 18650 cell 9 Dimensions (mm) 390*180*100 mm 10 Package Weight 15.5 kg For Using Our Company We are professional manufacturer producing Li-ion & Li-polymer & Lifepo4 & Ni-MH & Ni-CD rechargeable batteries and battery packs up to ten years. 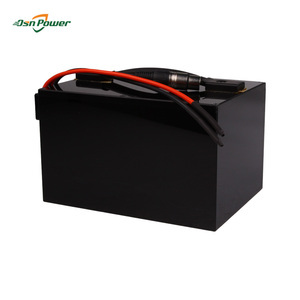 We are a modern technology company with highly skilled research & development, production, management teams and can provide suitable energy solutions to our customers, such as the batteries, with functions of communication, position tracking, etc. 2. Great quality! 4. Great shipping service! 5. Best sale-service! Q: How can i test and charge a 12 volt battery? A: The voltage manufactured by the charger is required to MORE than the voltage of the battery . A six volt charger WO N'T charge a twelve volt battery . A twelve volt battery in a six volt system 's enough to FRY some of the circuits . Your very bestest betting is be purchased the PROPER battery . It DEFINITELY costs lower than conversion the engine . Sam B : A transformer solely was working with AC current . Vehicles use DC . A voltage regulator is theoretically feasible , but the appropriate battery continues to be less expensive . Q: Can I use a 12 volt car battery charger to charge an 18 volt nickel-cadmium battery? A: A 12 volt charger will charge twelve volt batteries solely unless it has a features that allowing you to alter the chargers voltage . But on fast or slow charging twelve volts is twelve volts so most twelve volt chargers are solely good for 12 volt batteries . Q: Why does a truck or tractor uses 24 volt battery, while a car uses only 12 volt battery? A: It ought to be fine , unless the wrapper has warnings against that .